Charlie Speakman won the Cincinnati Reds suite for a game after entering “Trash for Treats.” The prize comes with two passes, along with free beverages and a buffet. The local project “Trash for Treats” was a success with the participation of 20 kids. Steven Armstrong, a realtor for ERA Martin and Associates, started the project after being inspired by a Facebook post created by Scott Hammond. 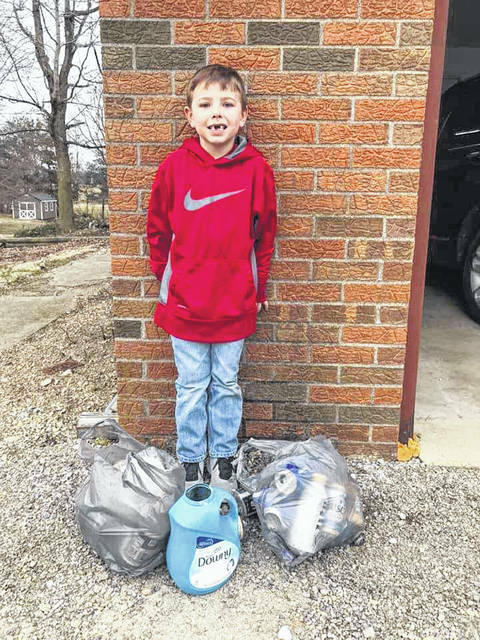 Hammond had been talking about the accumulation of trash in the community and encouraged people to fill one Kroger bag full of trash and post a picture of it online. The project’s purpose was to have parents encourage their children to fill up a bag with trash littered outside. A picture was to be taken once completed and uploaded to Facebook. The children were entered into a drawing with the prize being two passes to see a Cincinnati Reds baseball game in a suite with all food and beverages included. Other participants were to receive gift certificates for a free scoop of Whit’s frozen custard. The 20 kids who participated in Trash for Treats were: Halle Bradley, Dillon Hyer, Hunter Smith, Charlie Speakman, Caden Abraham, Toby Pickerill, Brandston Duffie, Gavin Campell, Ethan Davis, Riley Friend, Payton Harvey, Aileen Duffie, Taylor Sexton, Brant Lemaster, Zayleigh Potter, Abbi Lemaster, Mady Cox, Haley Kelly, Allie Cox and Zaiden Wilson. According to Armstrong, he and Joni Merritt of CS Title were so proud of the children that they decided to give every kid that participated a pair of tickets to the Reds game, as well as a Whit’s custard certificate. The winner of the drawing was announced on Sunday. The lucky participant who won the Reds suite was Charlie Speakman. See more photos of participants inside.